Experts and real estate stakeholders discussed the untapped potential to develop and invest in areas outside Greater Cairo. Senior real estate stakeholders, experts, and government officials converged at the Nile Ritz-Carlton to discuss the feasibility of a partnership between the public and private sector, investment opportunities in Upper Egypt, and the real estate sector’s contribution to the national economy. The Business Breakfast, a prelude to Cityscape Egypt called attention to the ongoing development and progress of Egypt’s real estate sector, focusing on the future of the industry in the country. Khaled Abbas, Assistant Minister of Housing for Technical Affairs, highlighted the government’s plans in his keynote address: “The Ministry of Housing is waiting for the New Urban Communities Authority (NUCA) to finalise the launch of the second phase of new land plots for investments in New El Alamein and New Mansoura cities within April 2018. According to Abbas, the Ministry is expected to launch more projects from NUCA, either through selling land or partnerships with developers. As part of the government’s plan to develop Upper Egypt, the Ministry will look to launch land plots in West Assiut and New Qena in April. “The ministry will allocate large plots of land to individuals in these cities at attractive prices with the aim of motivating internal migration into these cities thereby alleviating the pressure from a densely populated Cairo,” he said. NUCA also aims to establish new industrial parks in the cities of Upper Egypt to create employment opportunities and prevent migration. Dr. Ahmed Shalaby, Managing Director, Tatweer Misr moderated a panel of experts who discussed long-term plans for sustainability of the real estate sector, encouraging the private sector to venture outside its comfort zone, and the question of adopting PPP models when developing areas outside the capital city. Eng. Fatahallah Fawzy, Co-Founder of MENA Group and Chairman of Cityscape Egypt Business Breakfast, said the map of distribution of investments should be reviewed to include governorates and cities outside Greater Cairo due to the demand and scope of investment opportunities that fulfills an important economic goal in Egypt’s 2030 Vision. 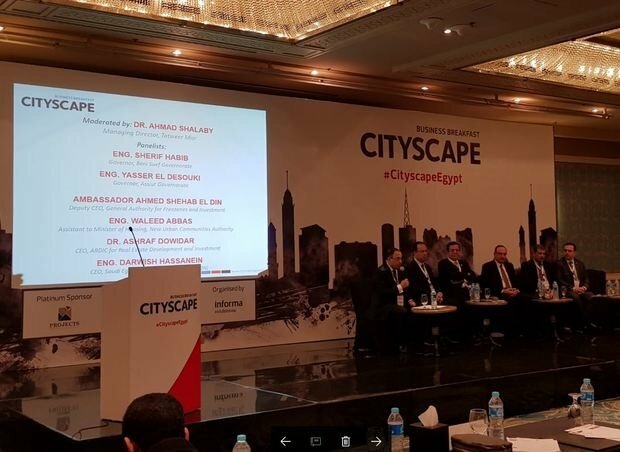 Ayman Sami, Head of Egypt Office for JLL told delegates at the Cityscape Business Breakfast that Upper Egypt has numerous opportunities and is a base for many strategic industries such as manufacturing and tourism – factors vital for Egypt’s growth. 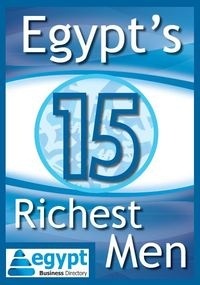 “To attract investment into Upper Egypt, the Egyptian government has been focusing on infrastructure development. This needs to continue to achieve intended economic growth and drive industrial transformation,” he concluded. Following the Cityscape Business Breakfast, the 7th annual Cityscape Egypt Conference, returns to the Four Seasons Nile Plaza on the 12th and 13th March – two weeks before the exhibition kicks off – with a stellar line-up of speakers and topics based on market research and the guidance of the Advisory Board.